One of the NASA/ESA Hubble Space Telescope’s many scientific objectives is to study the planets within the Solar System — and in past years, our system’s outer planets have been observed several times as part of Hubble’s Outer Planet Atmosphere Legacy (OPAL) program. This program has given us this new image of the planet Uranus, the seventh planet in the Solar System in order of increasing distance from the Sun. 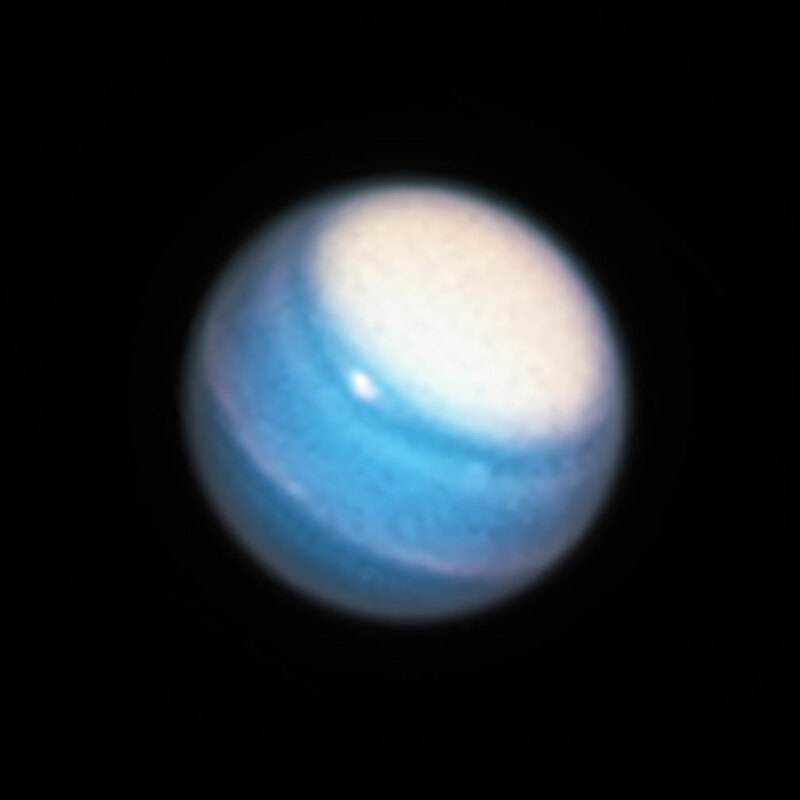 Past observations of Uranus using Hubble have led to many interesting insights about the cold ice giant; in 2006 the telescope managed to capture a shot in which the moon Ariel and its accompanying shadow were traversing the face of Uranus, and in 2011 Hubble was able to spot faint auroras in its atmosphere. Observations made over the course of several years also allowed astronomers to study the planet’s faint ring system as its inclination changed with respect to Earth’s orbit. This new image, taken with Hubble’s Wide Field Camera 3, adds to the legacy of images already taken and will provide scientists with even more new insights into our distant neighbor.